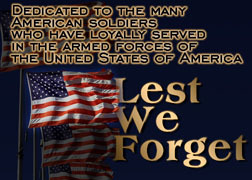 The "Lest We Forget" and the "Remember" graphic above courtesy of Ron Fleischer . adopt and receive information on a POW or MIA. 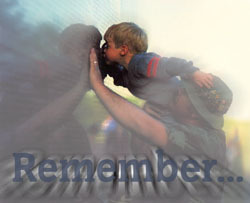 Give back a little to those who have given so much. raw data from U.S. Government agency sources, correspondence with POW/MIA families, published sources, interviews. On 29 September, 1969, Maj. Luther A. Lono, pilot; and 1Lt. Patrick R. Curran, bombardier navigator were dispatched aboard an A6A to conduct an armed reconnaissance mission in support of Seventh U.S. Air Force operations over Laos. The mission was under the control of an Air Force Airborne Tactical Air Control aircraft, and was to be conducted in a heavily defended enemy area. The mission proceeded without incident until 8:50 p.m., at which time the Airborne Tactical Air Control aircraft lost contact with the Lono/Curran aircraft. Their last radio contact had been about 25 miles west of Khe Sanh. Attempts to contact the aircraft were unsuccessful, and at 10:30 p.m., the commanding officer of the 11th Aircraft Group 11 declared them "overdue." At this declaration, electronic search efforts began for the crew members, and a signal was received by the Tactical Air Control aircraft at 0248 hours on September 30 which was believed to be a signal from an emergency transmitter. Subsequent attempts to contact the crew were unsuccessful. A visual search began at dawn on September 30, but no sign of the crew or aircraft was found. According to Curran's mother, Curran and Lono's aircraft quietly landed in heavily-guarded enemy territory that night, and was taken intact. Curran and Lono were either captured at that time, or executed. They were alive. Mrs. Curran believes her son is still alive, and has worked tirelessly to free him and others she believes also to be alive. Both Curran and Lono were declared Missing in Action. Nearly 600 Americans were lost in Laos, but because the U.S. did not recognize the communist government there, we did not negotiate for the "tens of tens" of American prisoners the Pathet Lao stated that they held. As a result, not one American prisoner held in Laos ever returned. Since the end of the war, nearly 10,000 reports of Americans missing in Southeast Asia have been received by the U.S. Government, convincing many authorities that hundreds are still languishing in communist prisons. Luther Lono and Patrick Curran understood that undertaking the missions they flew might mean they could be killed, wounded or captured. It probably never crossed their minds that the country they proudly served would abandon them. "John Terence McDonnell, US Army"
Source: Compiled by Homecoming II Project 15 May 1990 from one or more of the following: raw data from U.S. Government agency sources, correspondence with POW/MIA families, published sources, interviews. Capt. John T. McDonnell was the aircraft commander of an AH1G helicopter from A Battery, 4th Battalion, 77th Artillery, 101st Airborne Division operating in Thua Tien Province, South Vietnam. On March 6, McDonnell's aircraft was the flight leader in a flight on two aircraft on a combat mission. During a firing pass, McDonnell's aircraft was observed receiving enemy ground fire. The aircraft disappeared into an overcast and crashed into a mountain side. The area was searched, but McDonnell could not be located. His pilot, Lt. Ronald Greenfield, was found and medically evacuated. Lt. Greenfield could recall nothing from the point of impact to the following morning. During the search, McDonnell's helmet was found with no trace of blood along with pieces of equipment. It appeared that McDonnell's seatbelt had been unlocked and that he had left the aircraft on his own power. During the search effort, numerous deserted enemy positions were located indicating that Capt. McDonnell might have been captured. The search continued for three weeks without success. McDonnell was not a green soldier. On a previous tour of Vietnam then-2LT. McDonnell was attached as an artillery expert to Detachment A324, 5th Special Forces Group. It was at this time, on May 25, 1965, that he was awarded the Army Commendation Medal with "V" device for Heroism. At that time McDonnell was an advisor to South Vietnamese paramilitary forces at Thanh Dien Forest, Republic of Vietnam. A fellow team member had been killed by a sniper, another had been wounded. A third was missing. McDonnell's tactical advice and bravery enabled the team to successfully complete their search for the missing team member in the face of intense enemy fire. There is every reason to suspect that McDonnell may have been captured. His fate following is a matter for speculation. Returned POWs would say that those who resisted most strongly were the most tortured and deprived. To a man, those 591 Americans who returned home at the end of the war cooperated at some point, in some way, with their captors. They all agree it is not a matter of whether a man can be broken -- but only how long it will take. Only a few were known to hold out to the end...and unfortunately, for them, it was the end. A few were known to have been literally tortured or starved to death for their resolute refusal to cooperate. McDonnell's training and background may put him in that category. We may never know for sure. Nearly 2500 Americans were lost in Southeast Asia during our military involvement there. Since the war in Southeast Asia ended in 1973, thousands of reports of Americans still in captivity have been received by the U.S. Government. The official policy is that no conclusive proof has been obtained that is current enough to act upon. Detractors of this policy say conclusive proof is in hand, but that the willingness or ability to rescue these prisoners does not exist. McDonnell, if one of those hundreds said to be still alive and in captivity, must be wondering, "Where ARE you, America?" Where are we, America, when the life of even one American is not worth the effort of recovery? When the next war comes, and it is our sons lost, will we then care enough to do everything we can to bring our prisoners home? "Capt. John Wadsworth Consolvo, USMC"
Name: John Wadsworth Consolvo, Jr. Source: Compiled by Homecoming II Project (919/527-8079) 01 April 1991 from one or more of the following: raw data from U.S. Government agency sources, correspondence with POW/MIA families, published sources, interviews. Copyright 1991 Homecoming II Project. Capt. John W. Consolvo was on a combat mission out of Da Nang, South Vietnam when his aircraft was hit by ground fire as he pulled off target. He flew the aircraft about 18 miles to a safer bail-out area before the craft became uncontrollable. Although Consolvo's mission was in South Vietnam near the DMZ, the ground fire that struck his aircraft came from Laos. Consolvo radioed that the aircraft was incapacitated and ordered his radar intercept officer to eject. The officer successfully reached the ground, was rescued and returned to Da Nang. The F4 crashed 3-4 miles from the location the RIO landed, in enemy territory (probably just inside Laos). Although the RIO did not see his pilot eject, he believed he could have easily ejected and probably did. The wingman and forward air controller on the mission did not see him eject, but they had been unable to keep the plane constantly in sight. John Consolvo flew over 150 combat missions on his first tour of Vietnam. He was into his second tour when he was shot down on May 7, 1972. He had been in the Marine Corps since 1966. 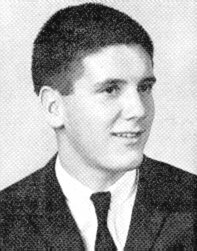 John W. Consolvo, Jr. graduated from the U.S. Naval Academy in 1966. If John Consolvo was unfortunate enough to be apprehended by the Pathet Lao, he is among nearly 600 Americans who disappeared without trace. The Pathet Lao stated on several occasions that they held "tens of tens" of American prisoners, yet not one man held in Laos was ever released - or negotiated for. Circumstances surrounding his crash indicate that the Vietnamese or Lao could account for his fate - alive or dead. John Consolvo does not deserve the abandonment he has received by the country he proudly served. Return to William Paull's "From Butte to Iwo Jima"
Source: Compiled by Homecoming II Project 01 July 1990 from one or more of the following: raw data from U.S. Government agency sources, correspondence with POW/MIA families, published sources, interviews. Gregory J. Harris was a radioman with a South Vietnamese company operating in Quang Ngai Province, South Vietnam. On June 12, 1966, the 5th Vietnamese Marine Battalion Headquarters was overrun by Viet Cong forces, and according to the U.S. Marine Corps, Harris was captured. Two officers with Harris were killed, but the South Vietnamese saw Harris captured alive and apparently unhurt. According to Marine Corps records, Harris died in captivity. 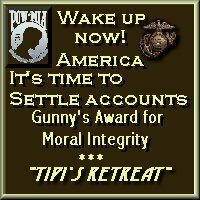 The Defense Department has never classified Gregory Harris as a prisoner of war eventhough the Marine Corps believes he was captured and died in captivity. He was placed in a casualty status of Missing in Action. In the summer of 1973, after Harris did not return with the released prisoners of war, his mother, Catherine Helwig, did something quite remarkable to tell the world that all the men did not return. She walked 450 miles in one month from Buffalo, New York to New York City. When asked why she did this, she responded, "If your child was lost in the forest you would not stop the search at the end of twenty-four hours. I can't look for my boy...it's better than staying awake night after night." At the same time Mrs. Helwig was walking, then-President Nixon was declaring the task of accounting for the remaining missing, "Highest priority". President after President termed the accounting "highest national priority". Not too much has changed. The men are still in Southeast Asia. Their sons, daughters and grandchildren are marching and protesting because mounting evidence indicates that many of them are still alive. It's time America insisted that "highest priority" meant just that...and that the U.S. Government get very serious about bringing Americans home from Southeast Asian prisons. Gregory J. Harris was promoted to the rank of Master Sergeant during the period he was a prisoner of war. Marine Corps records list his home city as Syracuse, New York. Many thanks to George M. "Gunny" Fallon who has been making a difference thru his tireless effort in this cause.